This will be my final update for the 2018-2019 season and what a season it has been! Storms ramped up in November and continued to deliver consistent powder days to nearly every Mountain Collective destination. One particular cycle that immediately stands out was the week of February 4th. Snowbird received 70 inches and Jackson Hole received 51 inches over a 5-day period. Wowza! Here's a look at the snowpack compared to the 30-year average for every Mountain Collective resort located in the Western US as of Monday, April 15th. 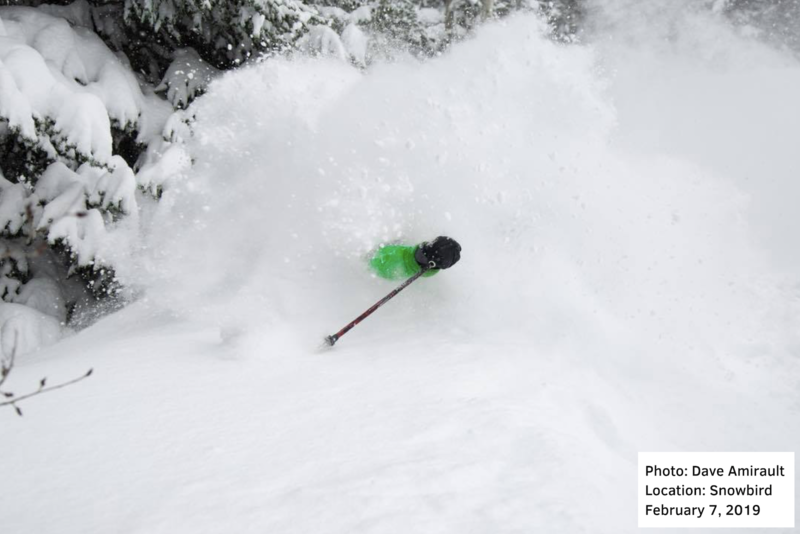 As always, stay tuned to the 1-10 day forecasts for all of the Mountain Collective destinations and our team of local forecasters for the latest updates. Thank you so much for following the Mountain Collective Daily Snow, have a great summer, and we'll see you right back here for the 2019-2020 season!